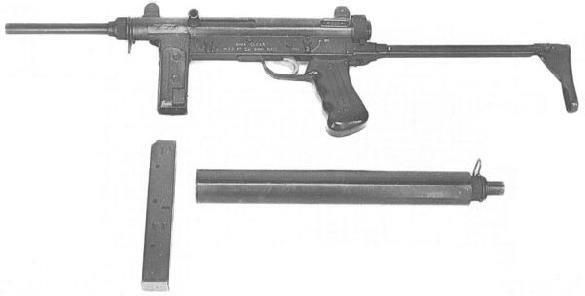 Believe or not, this SMG was engineered and developed BEFORE the MGP-84. The MGP-79A served the Peruvian military until the need arose for a more compact weapon with a wider array of options for it. A refined version of the MGP-79 was created, the construction was a simpler version without a barrel shrouding and the weapon was overall shorter than it's predacessor. A suppressor is optional for this design and is a screw on arrangement for ease of mounting and unmounting the design. The weapon has become more commonplace and is even in use by Counter-Insurgency groups within the country. Same ammunition, working and feeding specifics than the MGP79-A.